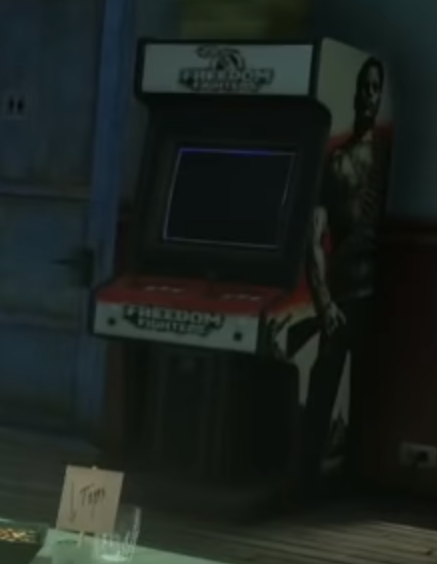 October 10, 2018 Soul-crushingly, the arcade cabinet is not playable. Hitman may be IO Interactive’s most famous series, but it has a corker in its history that never really found the success (and sequels) that it deserved: Freedom Fighters. The third-person shooter saw you resist a Soviet invasion of the US. It was a different speed to the Hitman games, giving you control over a large squad of AI teammates and sending you out into occupied New York to take back bases from the Ruskies. Well, it’s no sequel, but Freedom Fighters has found new life in Hitman 2. 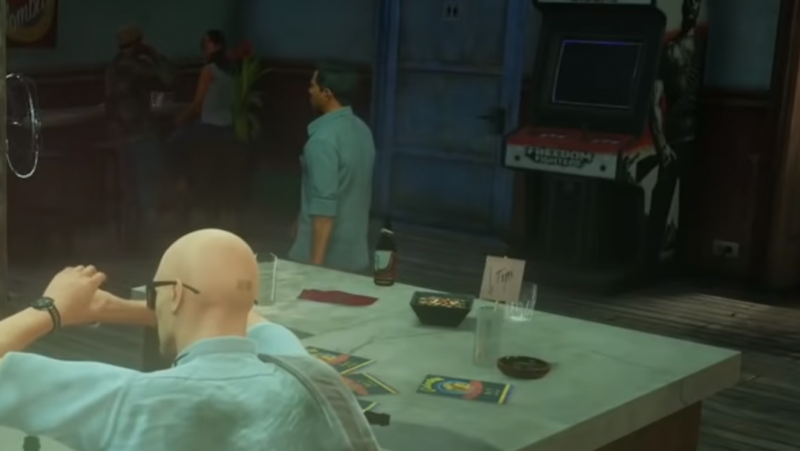 During his recent playthrough of Hitman 2’s Columbia level – which sees you trying to take down the leader of a drug cartel – our editor, Ben, stopped off in a bar for a quick drink… and to knock out a tattoo artist and assume his identity to get closer to the target. 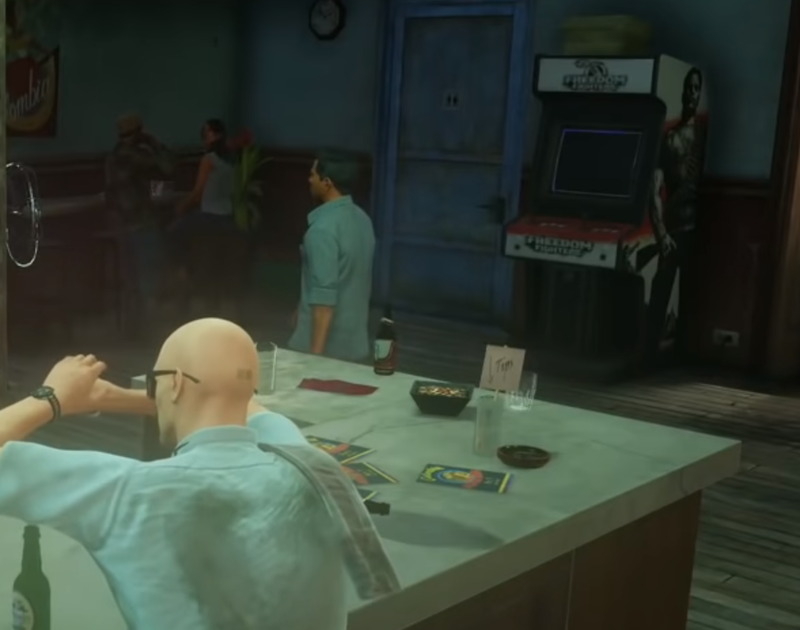 In the corner of the bar you can see an arcade cabinet for Freedom Fighters. We reached out to Warner Bros PR to confirm and, unfortunately, the arcade cabinet is not playable. EA published Freedom Fighters, so it might seem like more Freedom Fighters, or even a playable arcade cabinet, is an impossible dream. However, while IO doesn’t have the rights for past games like Kane & Lynch and Mini Ninjas, it has retained the rights for Freedom Fighters. 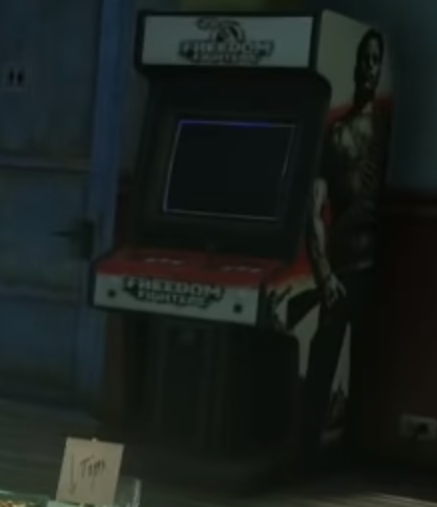 This isn’t the first time a developer’s old games have been spotted as arcade machines in their more recent releases. 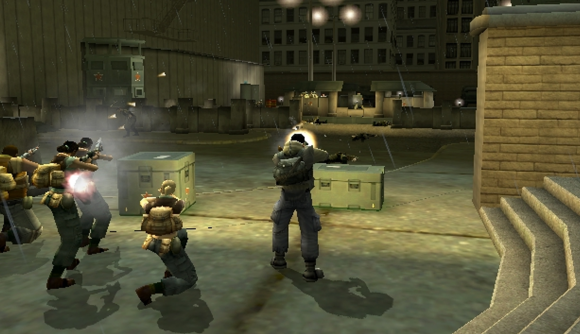 Homefront: The Revolution developer Dambuster Studios (which was largely made up of Free Radical staff) hid a playable version of Timesplitters 2 in an arcade cabinet. And, in that case, Dambuster didn’t even have the rights to the series, Crytek did.